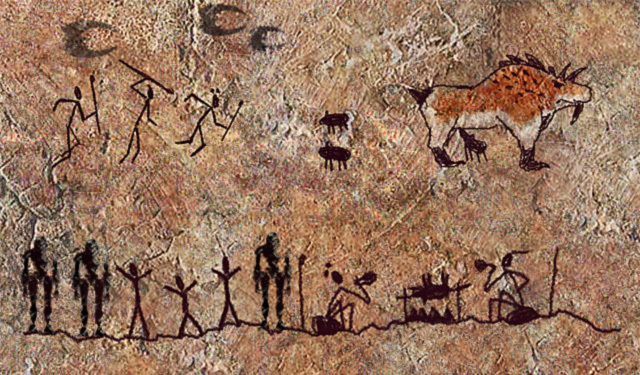 Research sponsored by the Raab Associates Institute has recently uncovered the earliest known marketing technology – a cave painting that promotes a local barbecue restaurant. Key selling points included freshness of the meat and how excited the kids would be. Archeologists disagree as to whether they also promised live music every Saturday night. The obvious conclusion is that an architecture built on today’s leading technology, mobile, has no chance of surviving the next decade. This realization calls for a change from planning around specific technologies to planning around change itself. In one word, the solution to this problem is modularity: build an architecture that lets you replace obsolete components without stopping the entire system from operating. I’ve just released a white paper, sponsored by Tealium, with specific suggestions for how to make this happen. You can download it here. We’ll be presenting the paper and related research in a Webinar tomorrow (Thursday) at 12:30 p.m. Eastern time. You can register here for the Webinar. I hope you’ll join us! I first started paying attention to “customer success management” systems when I realized they were assembling data from multiple sources to build a consolidated customer view – something that could potentially serve other departments throughout the organization. This made them a fifth subtype of Customer Data Platforms (CDPs), along with systems based on marketing, lead scoring, sales advisory, and tag management. In practice, this classification is more potential than real because few if any customer success systems actually expose their data to other systems in true CDP fashion. On the other hand, several do use rules and/or predictive analytics to help manage the post-purchase portion of the customer relationship – making them possible Journey Orchestration Engines (JOEs). Again, though, they fall short on other parts of the definition, in this case the one related to journey mapping. If you're wondering why I'm going through this, my point is that customer success systems share functions with other kinds of customer management systems and should be evaluated in that larger context. This brings us to Strikedeck, which emerged from stealth in April after about a year of development. Strikedeck is aiming squarely at the same market as customer success leaders Gainsight and Totango but includes more automated execution of recommended actions. 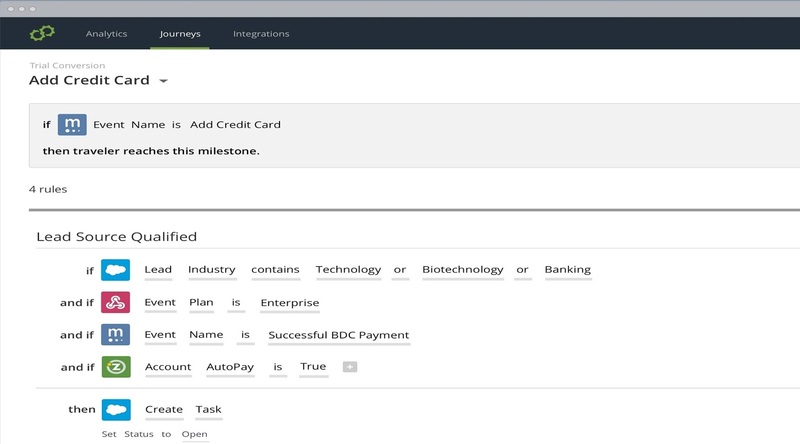 In fact, the execution is fully automated: users define rules, called “recipes”, that listen for triggers such as support issues, new contracts, or late invoices and specify the action to take when the trigger occurs. Actions can include emails, surveys, and updating customer data or assigning a task in an external systems. Actions can also initiate a "playbook", which is a sequence of recipes (some serious mixed metaphors there, alas). This allows for standard treatments to be fully automated. Users can see the tasks they’ve been assigned in a list or on a calendar, as well as looking at account details and an overview of key metrics for all accounts. They can also define account segments to select accounts for playbooks or reporting. The system includes features to create and send emails, surveys, and in-app mobile messages. If this sounds like “marketing automation for customer success managers”, that’s not a bad way to think about it. In fact, Strikedeck referred to itself as “customer success automation” in an early discussion I had with them, although they don’t seem to be using that positioning at present. But Strikedeck goes beyond standard marketing automation in a couple of key ways. Most notably, it takes data from many sources: not just CRM and its own tracking codes, but also customer support, marketing automation, analytics tools, and any other system with a suitable API connector. 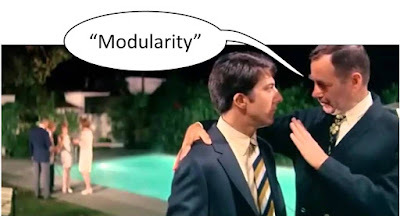 It also stores this data in what it called a “polyglot” data model of several technologies (Solr, Redis, Mongo, and Cassandra, fronted by Kafka data collection) that allows vastly more flexibility than a conventional marketing automation product. And it embeds Spark machine learning to build churn and upsell predictions, soon to be extended to other predictions such as willingness to give references or participate in case studies. 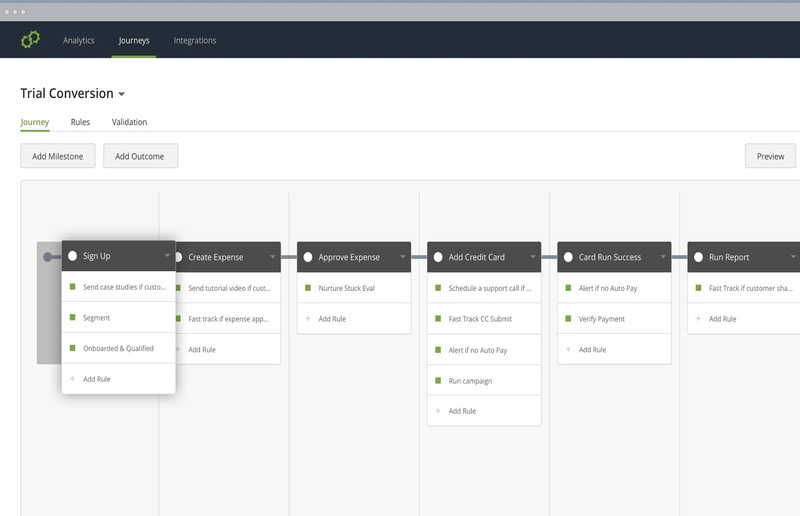 On the other hand, the playbook sequences lack the event-based branching available in most marketing automation nurture flows. Strikedeck says it takes one to two weeks to deploy at most firms, compared with months for a typical customer success management system. Strikedeck pricing is based primarily on the number of accounts, with some adjustments based on deal size. Pricing starts at $30,000 per year for 500 accounts. The company had 18 clients when we spoke in late May. Microsoft surprised pretty much everyone today by announcing a $26.2 billion acquisition of LinkedIn. This is fascinating since Microsoft intersects with LinkedIn in several areas: Dynamics CRM software, Office productivity software, and Bing online advertising. It gives Microsoft access to a rich trove of personal and company information, something it didn’t have before (although Microsoft probably collected more personal and company data than most of us realize). LinkedIn is primarily a social network with revenue from subscriptions, recruiting services, and advertising. But Microsoft’s announcement suggests it is primarily interested in using LinkedIn’s data for other purposes, such as enhancing the effectiveness of Office and CRM users by showing information about their contacts and potential contacts. This puts Microsoft at the center of the “third party data revolution” (a term I just made up and will probably never use again) that makes detailed information about everyone easily available from commercial sources. This is a trend that’s been clear for some time; it’s a big part of the intent data and predictive data excitement of the past year or two. It's also one foundation of the MadTech vision I offered last year. It still feels odd to think of a software company owning a data business, although Salesforce.com bought Jigsaw (now Data.com) in 2010 and Oracle purchased the BlueKai and Datalogix in 2014. The prospect of seamlessly integrating third party data with a company’s own sales and marketing products is intriguing, although neither Salesforce nor Oracle has done much with it. Other vendors like Nimble and HubSpot have done a better job of simplifying access to third party data about an individual or company. Those features are immensely appealing and become even more important in the world of Account Based Marketing, where knowing who to reach at your target customers is everything. Done correctly, integration of LinkedIn with Dynamics CRM could provide a major boost to that product’s utility while creating a new barrier to competition. We’ll see what happens next: Microsoft might be able to reset expectations among CRM (and Outlook) users for having prospect and company data immediately available. That would force other CRM and marketing automation vendors to follow suit, although it's hard to imagine them matching the depth of LinkedIn's data. If nothing else, this confirms the foundational role of data and data management in marketing and sales technologies. That's important because companies that start by planning a stable data layer are best positioned to manage the accelerating changes in decision and delivery systems. When I first starting thinking about Account Based Marketing, I assumed that an ABM system would let marketers replicate at scale how sales teams manage key accounts: that is, to analyze each account in depth, set goals specific to that account, and then execute against those goals. But most vendors serving the ABM space have taken a much narrower approach, either in providing data about accounts, managing campaigns against externally-built account lists, or providing account-level metrics such as coverage, engagement, and funnel velocity. Vendors who offered these things told me that the account-specific planning I imagined wasn’t practical and, in fact, was rarely done even by account teams in sales. I was disappointed but figured it was just another case of expectations outpacing reality. ZenIQ assembles account data from a company’s CRM, marketing automation, and Web systems; supplements this with account and contact information from external sources; assesses the current state of each account; and takes actions to improve that state. At present, the actions are chosen by rules set up manually by marketers – although even this is a step ahead of having marketers directly assign accounts to specific campaigns. Later this year, ZenIQ plans to release machine learning-based recommendations that will, in effect, generate the rules themselves. Even automated recommendations in place, ZenIQ won’t select your target accounts or execute the recommended actions. But tools for both of those tasks are widely available and, when it comes to execution, most companies don’t really want to replace their existing email, Web, CRM, and other execution systems. So ZenIQ comes about as close as anyone could want to to providing a complete ABM system. ZenIQ starts by importing accounts and contacts from a company’s marketing automation and CRM systems, including static attributes and behaviors. It also places a tag on the company Web page to capture visitor behavior directly. The system applies sophisticated matching to unify contact data and to link contacts to accounts. It then enhances the contact and account data with attributes, events, and intent from the usual ABM data vendors. Now things start get interesting. Contacts in each account are assigned to one or more “buying centers” and then classified by their role and importance within each center. This classification relies on machine learning to map titles and interests to standard buying roles such as influencer and decision-maker. ZenIQ next examines each buying center to find coverage gaps – that is, standard roles for which no contact has been identified. The system then fills those gaps with contact records from external sources. This is the sort of work you’d previously have needed a pretty smart sales rep to handle properly. Once the machine learning pieces are fully operational, ZenIQ will look for accounts with unusually low message volume and engagement, relative to all accounts for that client. It will also infer contacts’ personal interests, channel preferences, and optimal message frequency from their behaviors in marketing automation, CRM, and the Web site. Automated classifiers will tag CRM, Web, and marketing automation activities across multiple dimensions (channel, engagement level, initial vs later contact, etc. ), assign stages to opportunities (early, middle, and late) and find correlations between activities, gaps, and outcomes. These correlations will be the basis for recommending the next best action for each account. This sequence sounds almost entirely automated, but ZenIQ recognizes that human input is needed (at least for now) to keep the machines from making foolish mistakes. So classifiers will undergo a training period during which marketers review and correct their results. Similarly, marketers will review the system's recommended actions and approve them before they are passed on for execution. Marketers will also design the actions themselves. These will be processes that execute in ZenIQ and, mostly, in external systems. 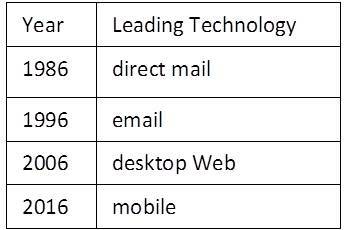 For example, a typical action might be to buy new contact name and add it to a marketing automation database. Users can create such actions in ZenIQ today and embed them within "recipes" that also contain a rule for when they execute. Recipes can be driven by real time events (“send a task to CRM if a decision-maker requests a meeting”) or by scheduled processes (“check daily for new accounts without a decision-maker and fill any gaps you find.”) They can add contacts to campaigns in Salesforce, Marketo, Eloqua, Hubspot, Pardot, or other systems with a standard API connection. Those systems could in turn feed other channels such as display advertising. ZenIQ will also report on coverage, reach, engagement, pipeline movement, and results over time. During normal operation, ZenIQ will receive regular updates from CRM, marketing automation and Web tags, and react appropriately. Think of it as a smart little robot supervising every account relationship and suggesting the right thing to do in each situation. In short, it pretty much matches my original expectation of what ABM would be. Score one for reality (and ZenIQ's creators). ZenIQ was founded in 2015 and released its product in early 2016. It is currently out of beta but not quite officially launched. Pricing starts at $36,000 per year for 6,000 accounts, plus $50 per user per month. There are additional fees for more accounts and for downloaded contact names. The company reports 11 current clients. I had the pleasure last week of appearing as the first guest on Scott Brinker's chiefmartechTV, an internet broadcast that will features interviews on marketing technology topics. The official topic was accelerating waves of marketing technology, although we did manage to sneak in Personalized Mona Lisa. You can view the broadcast here. See if you can count how many times my cat forces her way into the picture.. I got all excited when I saw this description from messaging vendor Intercom about new "smart campaigns" in marketing automation that automatically send the best message at the best time in the best channel to each person without pre-designed campaign flows. Their critique of the current process -- essentially that fixed flows are too complicated -- is spot on. My problem is step 4: messages are ranked by priority. This means that everyone receives basically the same sequence unless there are triggers that interpose specific messages first. So, the smart campaigns aren't really figuring out the best message to send; they are applying static rules to pick the messages. This is still pretty impressive but it puts most of the work back on the user to figure out those triggers. It doesn't automatically adjust the core priority ranking (which drives the default message sequence) based on user attributes or behaviors. I'm sure that clever trigger design could achieve pretty much any use case I could imagine, but it means all the thought I previously put into building clever campaign flows now goes into building clever triggers (and to predicting the customer experience resulting from interactions among those triggers). So the Promised Land of fully automated, optimized campaign design still hasn't been reached. Note: I haven't spoken with Intercom. I'll try to find time for that and to write a real review. But I did want to put this out because it's a good example of people thinking about alternatives to the current marketing automation campaign flows, even if they haven't found a perfect replacement. Further note: I did subsequently speak with Intercom to learn more about their system. It turns out that my initial description, presented above, was accurate. They do make it pretty easy to connect with Web, mobile app, and other data sources and to send messages by email, text, and in-app. They also let users assign goals to each campaign as a whole and to individual messages, which helps to report on campaign success and to optimize treatments within a campaign. So they do have some nice features that make effective messaging much easier than standard marketing automation systems. But fully automated, self-optimizing campaigns, they are not.